DrekkoTM the Dragon is hungry and looking for food. Could you be it? 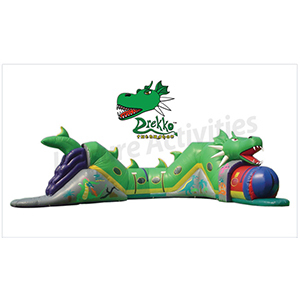 This amazing inflatable features a Bouncy FloorTM, and 2 slides. Pop-up animals and obstacles along the tunnel/path make this a great adventure. Designed for preschoolers.